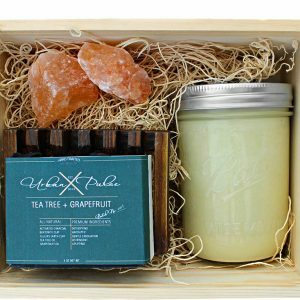 Meet our best selling scent- an earthy, woodsy, spicy citrus aroma that is warming, cleansing and emotionally grounding. 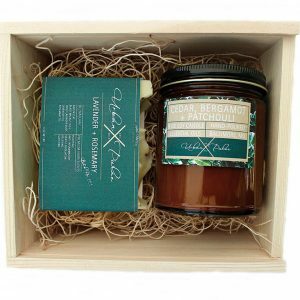 Hand poured using pure soy wax from US grown soy beans to provide a natural, clean burning candle. Free of harmful toxins, carcinogens and pollutants. Giving you relief from that black smoke and soot you may be used to with other brands. A wood wick crackles while burning to evoke a sensual, peaceful environment when you want to sit back and relax after a stressful day. All scents are formulated and mixed in house, providing you with the most unique products possible. Enjoy! Bergamot essential oil is used to ease congestion during seasonal colds. Patchouli essential oil promotes feelings of peace and relaxation. Ingredients: Pure Soy Wax, Wooden Wick, Cedarwood Essential Oil, Bergamot Essential Oil and Patchouli Essential Oil.